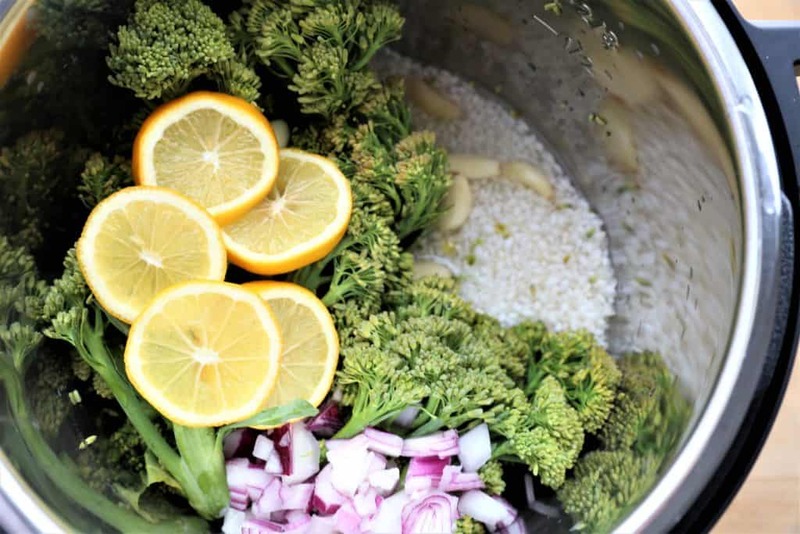 Lemon Pepper Broccoli Risotto in the Instant Pot is ready in 15 minutes! 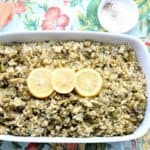 Lemon Pepper Broccoli Risotto. If you are short on time and looking for some quick flavor, this yummy dish is ready in 15 minutes when you prepare it in the Instant Pot. Toss rice, water, vegetable broth, baby broccoli, onion, lemon and spices, and in 4 minutes, yes, four minutes, you are spooning this. 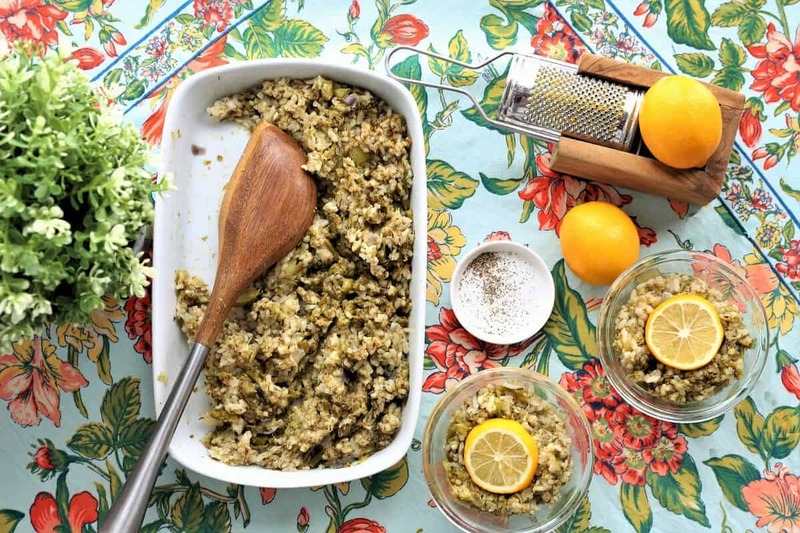 Perfect as a main course or side dish. Vegan, gluten free and dairy free. 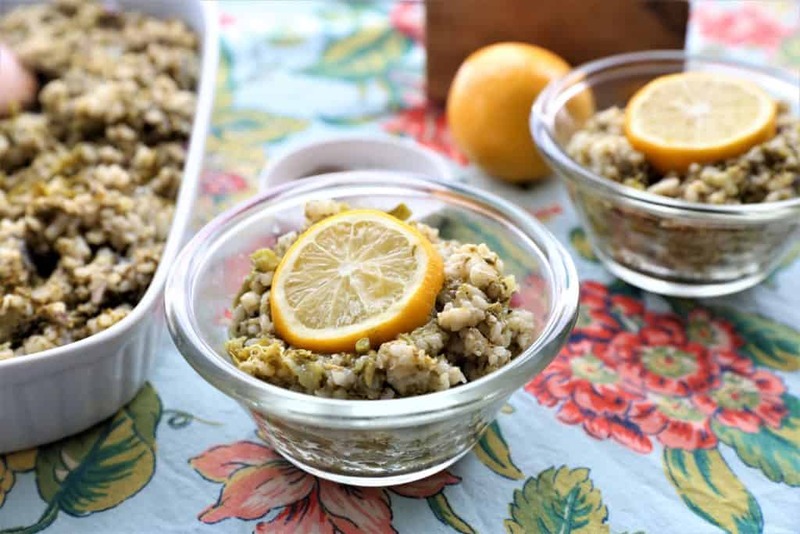 Light and tangy, lemon broccoli risotto is a perfect side or main dish. Vegan, gluten free, dairy free. Toss all ingredients in instant pot. Top with sliced lemon. Set to high pressure for 4 minutes. Let steam NR, naturally release. Toss all ingredients in soup pot. Top with sliced lemon. Bring to boil and simmer 30 minutes, or until rice is cooked. Stir rice and broccoli together and serve.